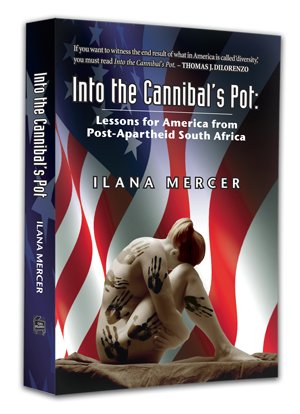 At last we’ve launched the fabulous, new ILANAMERCER.COM. The site is huge; the task Herculean. It’s easily the most beautiful site on the WWW. 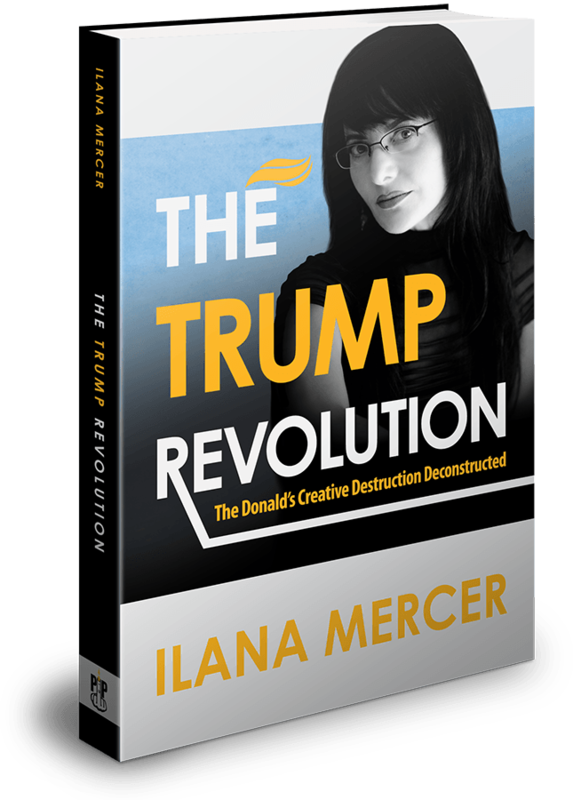 As you spend time on the new ILANAMERCER.COM, you’ll get an opportunity to test the site’s database and advanced search, and enjoy its many features. “Going live” is much like moving into a castle in cyberspace. At the risk of being denounced, I did not want the Stars and Stripes on the site. The flag no longer stands for the classical liberal ideas and ideals of self-government and individual rights. I don’t think I’d get an argument from our regular readers. Conversely, early American symbols do represent the values cherished and championed in my work. And in particular, the “Don’t Tread on Me” flag. Or the Gadsden flag. The two symbols, however, turned out to be way too busy as website wallpaper. I just knew that, enlarged as background, the snake symbol would give the page the depth I wanted, bar the busyness. The snake just needed the right artistic touch. He got it. Although fierce, the rattle snake is an honorable creature that never attacks without provocation and gives its enemies ample notice before attacking. Read about the Gadsden flag here. The “Ilana Shrugged” concept was certainly unorthodox, down to the Atlas that matched the site’s theme colors. But mostly, the contents. At last, all my work is under one roof, and what a smashing roof it is. And a huge shout-out to a true maverick: our benefactor, David Szasz. David donated most of the funds for this project. A big “thank you,” too, to each and every reader who has contributed materially or intellectually. Update I: Another handy feature: If you wish to receive the weekly newsletter, click “Mailing List” on the navigation bar, and sign up here. Want to “Unsubscribe”? That too is possible, although never recommended. Ilana, your new web site is representative of its owner: unique, and attractive to the mind and the eye. You truly are a master of language. I also appreciated the Atlas-like pose, as would have, I am sure, Ayn Rand. I will spend some more serious time looking it over. (I am wondering why, given Sean Hannity’s endorsement, he does not invite you to his show?) Best of luck! I do what I can to publicize your columns. Update III: Barely a Blog is getting a makeover too. Fear not. Update IV (October 29): Another favorite of mine is the “Click-to-expand-click-to-close” features on the Biographical and Quotables pages. Update V (October 31): Although extremely user-friendly, some of you may find the Advanced Search a little intimidating. So, on the Articles Page, a smart, Search-by-Category button has been set up. Click on it! You’ll arrive at this lovely page, where you can flit between the many search categories with great ease. Let us know how that works for you. Update VI (Nov. 6): I continue to receive web-approving letters. Thanks to Prof. Rob Sauer of the Jerusalem Institute for Market Studies for his kind words; to the intrepid Jim Ostrowski (he has launched a new site too; I wish him all the best. I was always very pleased to have been instrumental in pushing him to write Political Class Dismissed). And to my mother, of course, for her good wishes. Update VII (Nov. 7): Working with programmers, you learn pretty fast that Microsoft WORD is regarded as a virus. Programmers say it is crappy code. (About programmers, the spouse, who’s an RF engineer, and a PhD., once made this succinct comment: “They–programmers–manipulate ones and zeros; we–engineers–manipulate the laws of nature.”) Fair enough. I won’t get into a turf war; after all, what do I know about code? I’m willing to agree that programmers are right and WORD is crappy from a technical point of view. It sure has gummed up the beautiful font and formatting on my site with HTML gunk. However, WORD is the most popular program in the WORLD. The fact that (far fewer) programmers cannot adapt their code to the most used program chosen by the market is a fault of the programmers, not the market. The market is always right. Call it the aggregate customer. Programmers have simply failed to come up with solution to the problems presented by WORD. Again, theoretically, programmers who complain about WORD are probably 100% correct, but pragmatically, they’ve not solved the market’s problem. So they’re at fault. Update VIII (Nov. 21, 2008): I have now launched the most beautiful blog on the WWW, after I had found the perfect blog spot on which to unfurl my signature, Gadsden, “Funky-Snake” flag. Ms. Mercer: Congratulations on your new site! Wow! That snake immediately “grabbed” me: I think the “Don’t Tread on Me” theme from colonial America is sorely neglected in this day and age. Your new site is certainly an impressive new vehicle in which to showcase your work. Ms. Mercer, in what appears to be the first comment on the new layout, let me say I love it, and I am viewing it through a dinky iPhone. The background image is an especially nice touch, in contrast (or solidarity?) to Ayn Rand’s shrugging Atlas! Nice quote and I agree about the flag. Congratulations on the new site. I admire your high standards. The new site, like your preference for wheels, is hot! Is that the GTI or the racier… R32? I drove a friend’s GTI just last weekend… what a hoot! If you were shooting for handsome, compelling, and serious… you achieved it. Well done and congratulations! Good things DO come to those who wait. Ilana, I was briefly looking through your new web site, thanks for flagging it, and it is representative of its owner: unique, and attractive to the mind and the eye. You truly are a master of language. I also appreciated the Atlas-like pose, as would have I am sure Ayn Rand. I will spend some more serious time looking it over. (I am wondering why, given Sean Hannity’s endorsement, he does not invite you to his show?) Best of luck! I do what I can to publicize your columns. I don’t think Hannity caught any of the war commentary, hmmm? Now that the site is done, how about finding an alternative to Paypal? I was linked over here by Dr. Bob Murphy, and his ‘Free Advice’ blog. He seemed supportive, and I enjoy his commentary as well as yours. The site is very nice, but I have to ask one thing; why don’t you just put BAB inside of the new website? BAB seems so plain compared to the new site, which is a shame since I spend most of my time in your blog. Congratulations on such a marvelous accomplishment! You and your dedicated designer have truly realized an inspired dream – superbly executed ! WHAT A GREAT WEBSITE ! And what a sincere “living tribute” to you and your work. It has been beautifully constructed upon the foundation of your unrivaled integrity; your courage and tenacity have brought forth a most appropriate representation of your “brand” upon the internet; it shall serve well the world of hungry readers who appreciate your words and cogent analysis; (and it will SHOWCASE much needed edification for those who have yet to comprehend your inspiration). I ALWAYS KNEW YOU COULD DO IT ! Well done on the new website design. It does look more “lively” compared to the old one. I sincerely hope you draw more readers, your views deserve a wider audience.